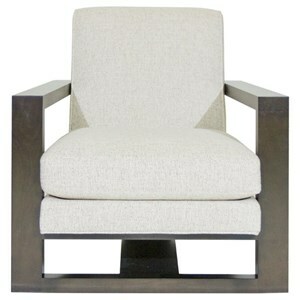 Featuring a fresh silhouette that plays with space, the Roger lounge chair elevates any home with modern sophistication. The maple wood frame has a warm and rustic feel in a Black Walnut finish, while the neutral upholstery looks inviting and effortlessly chic. The floating design is both unique and perfect for making a smaller space feel more open and airy. 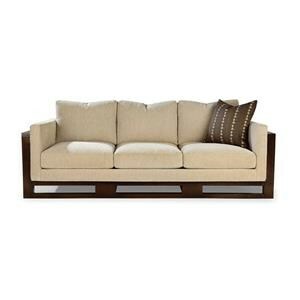 Create your ideal living space with this modern stationary sofa. 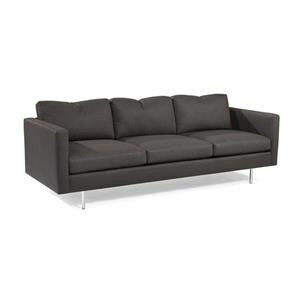 Its nickel finish legs complement the polyacrylic and polyester black fabric for the perfect contemporary look. 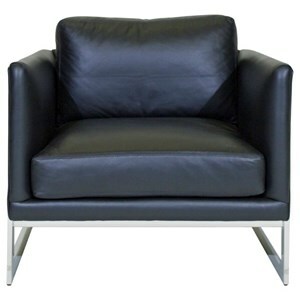 UltraPlush foam core seat cushions complete the design, delivering incredible comfort and the style you crave.